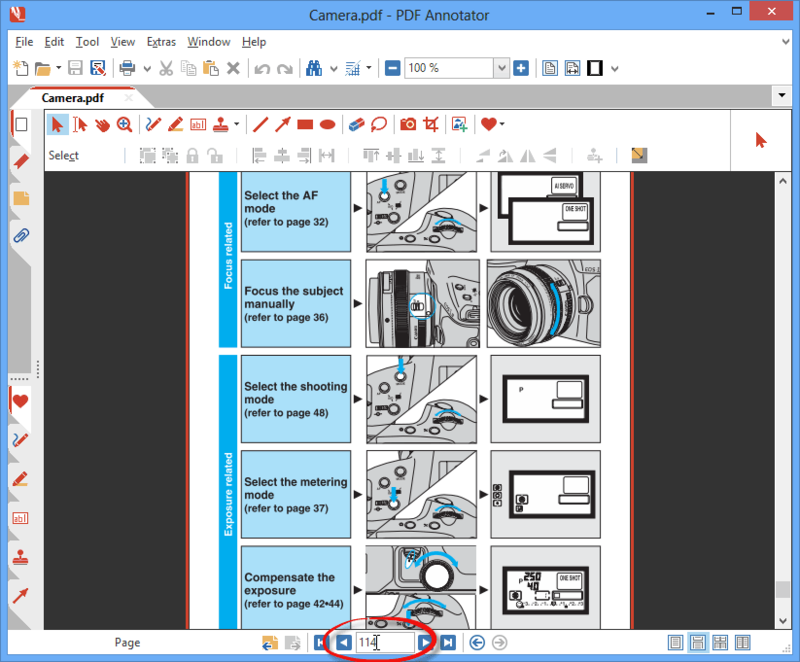 You can easily jump to a specific page in a PDF. The fastest way is to simply type the page number into the field in the middle of the status bar (at the bottom of the PDF Annotator window) and hit the ENTER key. Another option is to choose View, Go to, Page from the menu and enter the page number.